"Chairman Mossberg" and Kara Swisher scout Hong Kong for their AllThingsDigital Conference, known as "AsiaD", that kicks off today at the Grand Hyatt Hotel in Wanchai. 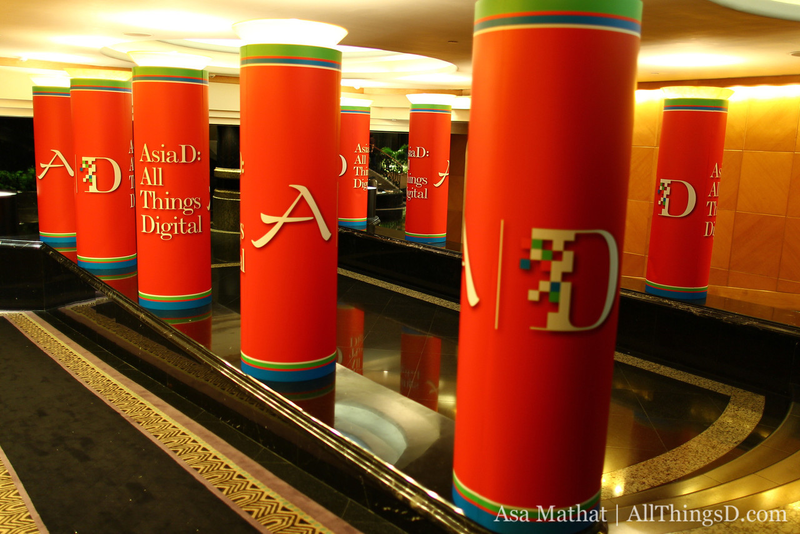 Via the official website with its live blogs, videos, attendee interviews and photo galleries or via twitter (@allthingsd and #AsiaD) for real-time highlights and quotes. I will be tweeting (@webwednesday) from the event along with other local digerati, including Casey Lau, Jay Oatway and Jocelyn Liipfert. If you're interested in joining their mailing list to receive updates about future D events, sign-up here. Love the way that they've decorated the entrance to the ballroom at the Grand Hyatt.